The energy conservation industry has experienced explosive growth while continuing to develop new technologies. For the consumer, deciding which materials and devices offer the greatest return on investment can often be confusing. Over the last five decades, thorough research reveals that the greatest energy savings per dollar invested comes from maximizing the insulation value of a home or business. 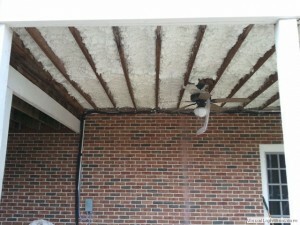 Among the different insulation materials, spray foam insulation offers substantial advantages over competing systems. The purpose of any insulating material is to slow the transfer of heat. To compare the relative effectiveness of the different insulation alternatives, it is important to understand how heat moves through materials and space. Conductive heat transfer is the process where thermal energy travels through the mass of a material on a molecular level. Conduction occurs when heat passes through a single material or multiple materials that are in direct contact with one another. Conduction is a primary method that heat uses to migrate through the ceiling, floors and walls of a structure. Placing spray foam insulation directly between two highly conductive materials will substantially slow the process, especially when compared to other insulation types such as fiberglass or cellulose. Heat that moves through the air is called convective transfer. Differing pressures between warm and cold air provide the mechanism for this kind of movement as warm air seeks out colder air. Since warm air escapes through breaches in a building’s envelope, additional fuel must be used to heat the colder air that replaced it. In the cooling season, the convection transfer reverses as warmer air from the outside infiltrates into the home. Spray in foam insulation systems that seal the perimeter of the building are most effective in eliminating convention currents. Our professional teams of experts can assist you with all of your homes insulating needs whether you have a large home or a small one we have a solution that will best fit your home so give them a call today and see what they can do for you and your homes insulating needs. 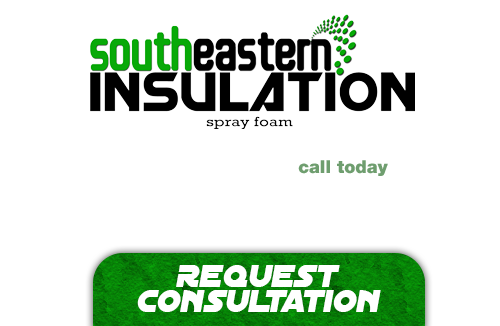 If you’re looking for a professional Blue Ridge Spray Foam Contractor, then give us a call today at 678-561-FOAM (678-561-3626) or complete our request estimate form.